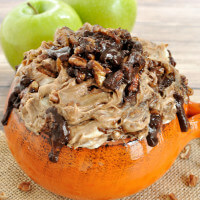 I’m so excited to share my latest dip recipe creation with you all today- A Chocolate Bourbon Pecan Pie Dip. 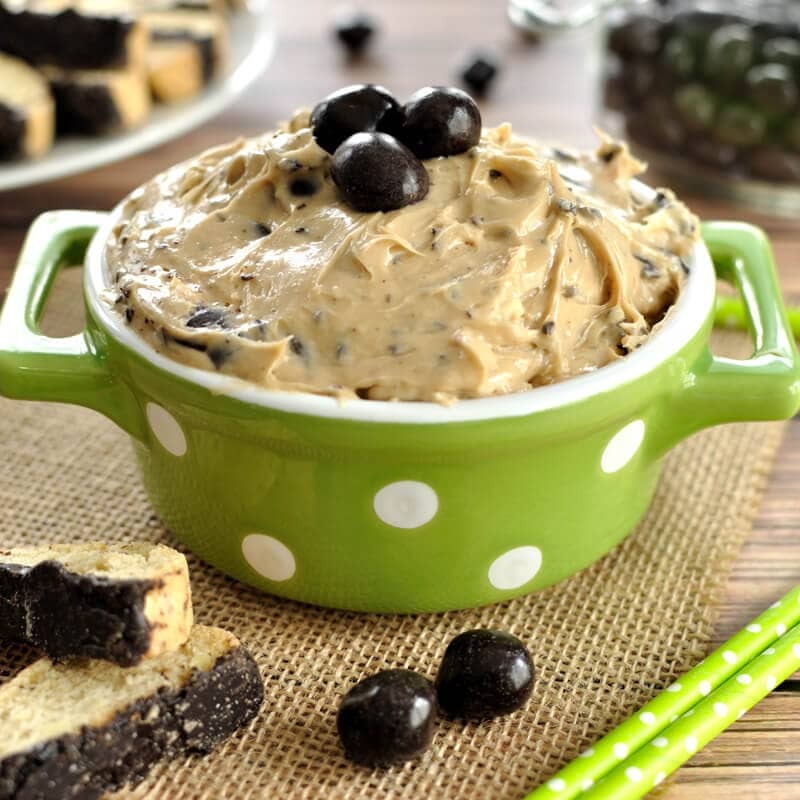 This creamy and crunchy dessert dip recipe is loaded with sweet chocolate and bourbon goodness. My fall decorations are up and the days are getting a bit cooler which means fall is in the air. Now if the rain would just go away, I’d be a much happier camper…no kidding, today is the first day that it hasn’t rained in 5 days (although it looks as if it could pour down any minute) AND there is a hurricane headed this way. Oh, no biggie, just a hurricane headed directly for Virginia….yeah, we’ll be going to the store tomorrow to stock up and get ready. Here’s hoping this thing goes out to sea and stays far from the East Coast. We have lots of areas already seeing flooding from all the rain and I remember the past few hurricanes to hit our area- not good at all!! Oh well, nothing I can do about that right now so let’s talk about this new dip. A friend of mine suggested I do a dip with chocolate, bourbon, and pecans and this is what I came up with 🙂 Whenever I tell people that I blog about dips, I end up getting suggestions for dip recipes. It is actually pretty cool because I do turn a lot of the ideas into new dip recipes. Who wouldn’t love a dip that has alcohol in it, right? 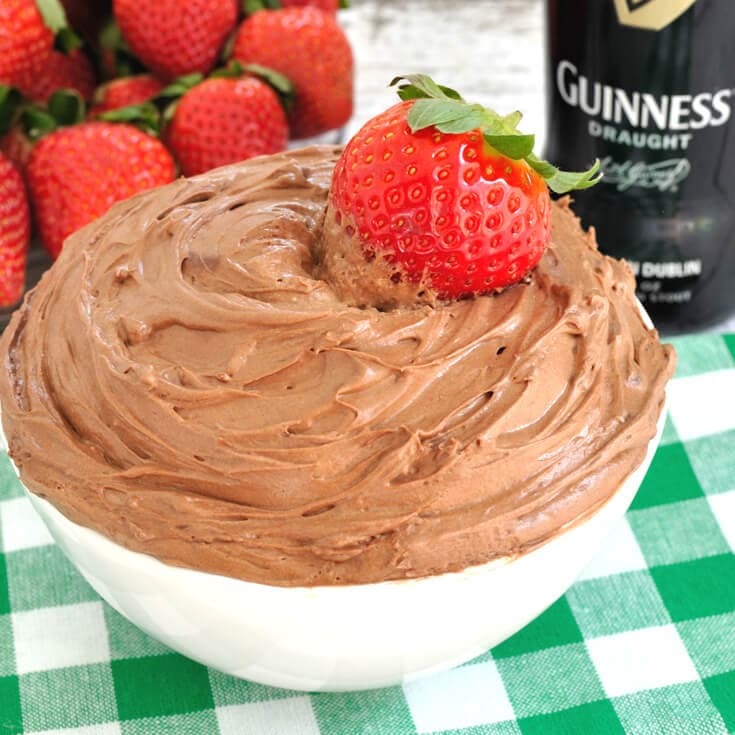 I’ve done a few dips thus far that use alcohol like a Baileys Irish Cream Dip. instead of chopping your own for this recipe. The colors and flavors are great for this time of year tool. 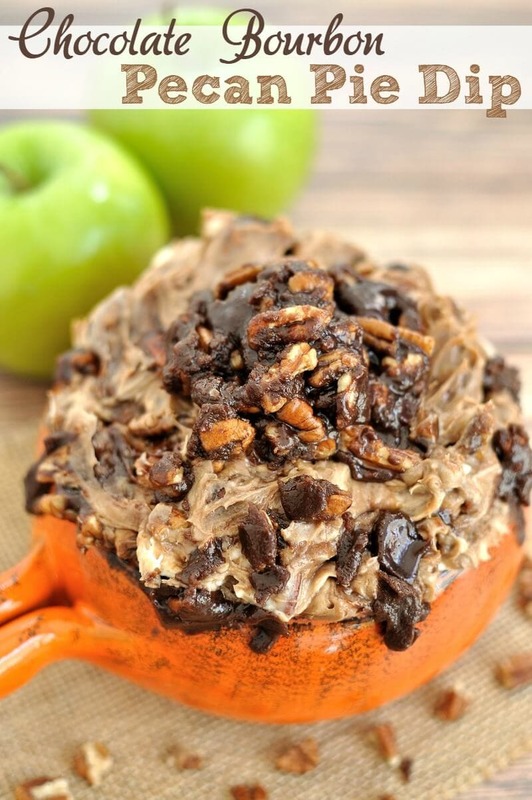 Serve the Chocolate Bourbon Pecan Pie Dip in an orange bowl with apple slices for a lovely fall treat. A red or green bowl with chocolate graham crackers would be great for Christmas too. Easy dessert dip recipe. Chocolate Bourbon Pecan Pie Dip is a creamy and crunchy dessert dip loaded with chocolate, bourbon, and pecans. Add butter to a small sauce pan or skillet and melt over low heat. Once melted, add in brown sugar, pecans, heavy cream, salt, chocolate chips, vanilla, and bourbon. Add the cream cheese and powdered sugar to a mixing bowl. Using a mixer on medium speed, beat together until creamy and smooth. Reserve about a tbsp of the pecan mixture for the topping. Use a spatula to fold in the remaining pecan mixture into the cream cheese. Be careful not to mix all the way in if you want a streaky look. Top with reserved pecan mixture. If desired, add more melted chocolate and/or pecans to the top before serving. 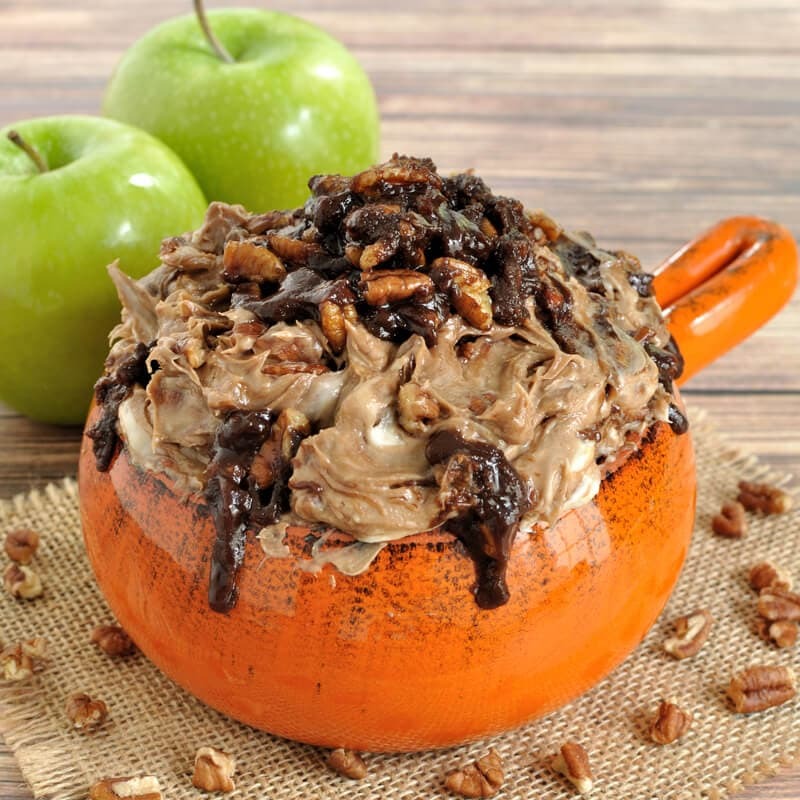 Serve this Chocolate Bourbon Pecan Pie Dip with apple slices, graham crackers, or cookies. Woah!! That looks incredible! I must admit I’ve never made a sweet dip before. I think this might be The One!! Pinning! Oh my goodness! You stopped me in my tracks when I read the words chocolate + bourbon + pecan pie… This is one dangersouly delicious looking dip. Totally pinning this. It is an amazing combination 🙂 Thanks for commenting! This looks ridiculously delicious! 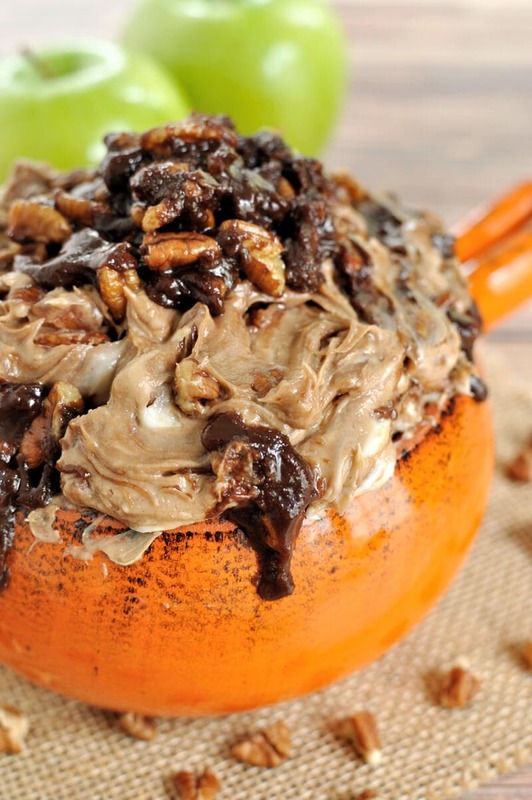 I love pecan pie, so to have it in a dip is like a dream come true. I am really excited to try this! Thank you very much for visiting! I hope you enjoy! Chocolate, bourbon and nuts? Yes please! Ive never had a sweet dip, Im going to try this! Sweet dips are super fun and anything with bourbon has to taste good, right? Thanks for stopping by! Its all my favorites in one – chocolate, bourbon and pecan pie. Must feel like heaven dipping into this. Ummm…. why is this not in my life right now!!!!! It looks so incredible and moorish.